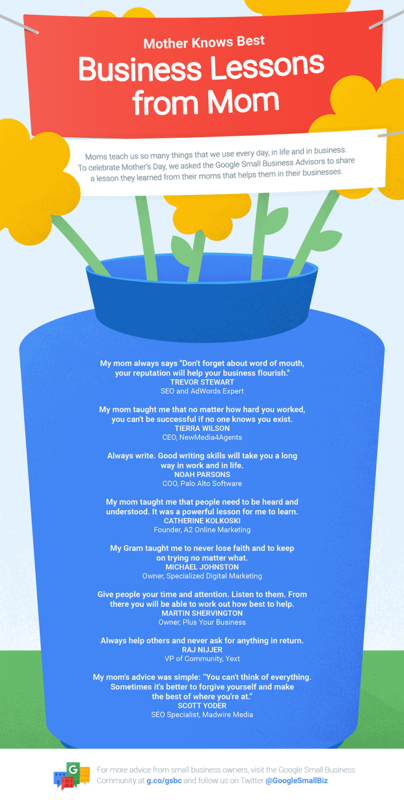 How has your mom impacted your small business? Share your thoughts and stories with us in the Google Small Business Community or on Twitter. This entry was posted in Google and Your Business and tagged Business, Google Small Business, Google Small Business Advisors, Google Small Business Community, Google+, Mother's Day on May 6, 2016 by Google Small Business.